The History of Double Breasted jackets has rather been interesting. Contrary to popular belief, the double-breasted jacket has its origins in the early nineteenth century as a casual garment also called the ‘reefer’ jacket. It was considered quite casual and worn by people for sporting events and events taking place in the countryside. It later evolved to being worn for formal occasions as championed by the Duke of Windsor- who was considered a trendsetter at the time. 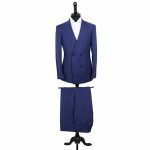 After he wore it to official engagements and outings as a formal two piece suit it gained acceptance as a formal piece of clothing. It also became the de-facto dress code among heads of state in various countries for official engagements in their home country or overseas. The 1930s and 1940s saw important people in banking, finance and heads of state wearing double-breasted suits. It was often seen as a powerful symbol with people of prominence and aristocratic lineage wearing it for day to day engagement. The 80s, 90s and part of the 20th century saw the double-breasted suits losing their flair with people considering it dated as it had been visible quite extensively for five decades. 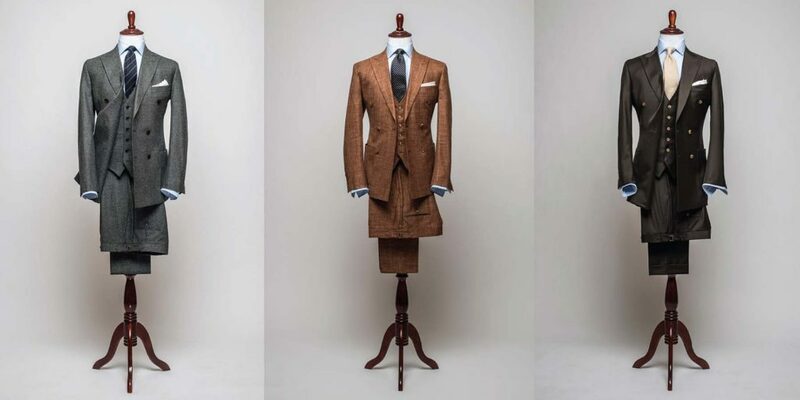 The single breasted two-piece and three-piece suits found its way into wardrobes during this time being worn for formal and semi-formal occasions. It was around 2014 that the famed designer Tom Ford re-introduced the large peak lapels. It was done in single-breasted suits and jackets and people took a liking to the prominence of it, making the single breasted suit more formal. Peak Lapels had otherwise traditionally typically been a mainstay of double-breasted suits. 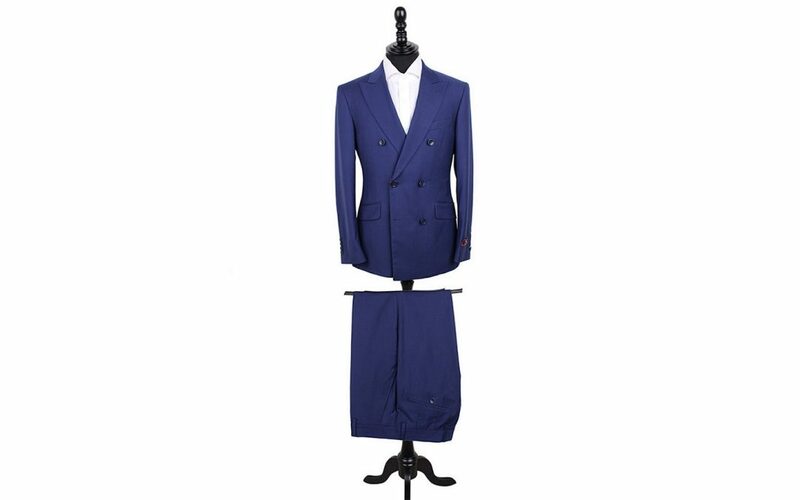 This contrarian look added a renewed freshness to the single-breasted suits making people more acceptable to the idea of the peak lapel and the silhouetted slim cut of the single breasted suit. The rise of the peak lapel in jackets led to a resurgence of double-breasted suits and jackets in the past two years and has hence seen classical style complete a full circle. The single-breasted suits and jackets especially with a notch lapel were just becoming too commonly seen and have been much too visible especially with ready to wear. But the main concern people have with double-breasted suits is the fuller cut of the jacket which gives a square form to the entire suit. Lately, the slim silhouetted cut has also been adopted with double-breasted suit jackets as typically has been the case with single-breasted jackets. Also, the lapel width has been made slightly slimmer in comparison to traditional double-breasted suits from the earlier years. This is to keep in line with the slim silhouetted form of the entire jacket. The style of being effortlessly elegant has seeped into the threads of the double-breasted jacket. It can now be worn with a slightly shorter length as a blazer. Also, the jacket can be deconstructed with it being semi-lined making it quite comfortable to wear it informally. The sartorial quotient is certainly raised when the double-breasted jacket is effectively paired in a manner that strikes the right balance between not leaning over the edge of being too formal and not steering away from being too informal. The double-breasted jacket has definitely come back after a sabbatical and has evolved with renewed vigour. With people viewing it with enthusiasm lately, it will soon become a staple into their wardrobes lending a distinguished look among the discerning.